Translink Future Ticketing System (TFTS) will transform the public transport journey experience. Announcing the new system are l-r Chris Conway, Translink Group Chief Executive; Minister for Infrastructure Chris Hazzard MLA and Owen Griffith, Managing Director, Parkeon Transportation. 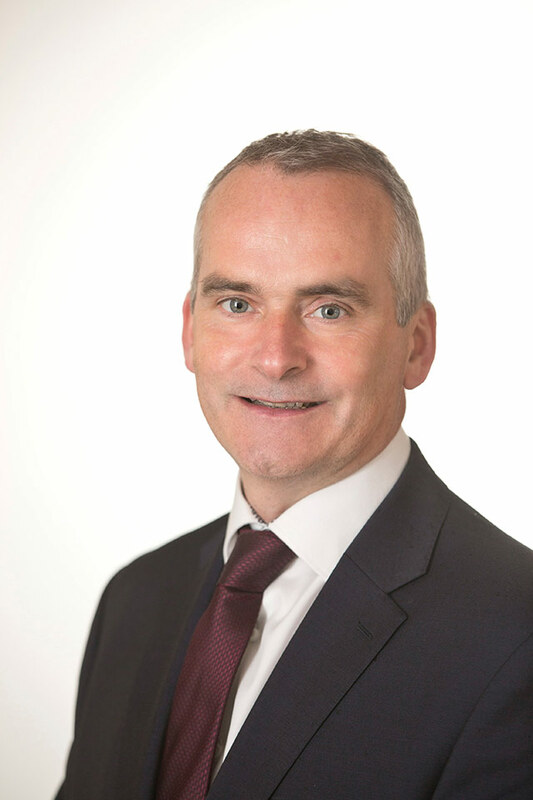 Translink is transforming and major developments are underway to show the public just why public transport should be Your First Choice for Travel in Northern Ireland, writes Translink Group Chief Executive Chris Conway. A series of flagship projects will deliver continuous improvement, drive economic growth and enable Northern Ireland to thrive. They form part of our Get On Board strategy; a five year plan launched earlier this year to get more people on board public transport. Get On Board supports strategic outcomes within the Programme for Government to grow the economy and improve societal wellbeing. The Belfast Hub will be a world class multi-modal transport hub acting as a high quality gateway for Belfast and Northern Ireland. Located on the site of the Europa Buscentre and Great Victoria Street Train Station, the new Hub will create an excellent first impression of Belfast and Northern Ireland as a confident and progressive region. We also have plans to deliver a new North West Multi-Modal Hub and together they will create essential links to local, national and international markets. Providing investment opportunities, improving service integration and journey times, creating jobs, enhancing the economy, reducing congestion and improving the environment. This autumn we will be commencing a further public consultation on Belfast Hub development proposals in advance of the formal planning application process. Visit www.translink.co.uk/thehub/ to have your say. We are committed to developing our railway infrastructure in the North West to build on the two million plus passenger journeys that already travel along this line every year. Our current rail upgrade programme will offer a more resilient rail service to and from Derry~Londonderry including the potential for more frequent journeys. We look forward to having this programme substantially completed by the end of the year. Representing a £45 million investment funded by the Department for Infrastructure, TFTS will provide our customers with better integration, flexibility and convenience in terms of buying and using tickets for our bus, coach and rail services. Belfast Rapid Transit off-vehicle ticketing with vending machines/validators at every halt. Further technological advancements will improve real time passenger information available on App and more digital departure screens across the network. We also continue to work with Transport NI on the delivery of Belfast Rapid Transit to provide a high capacity public transport system for Belfast addressing current and future needs. We are committed to the successful delivery of each of these key projects and look forward to collaborative working with all our stakeholders to ensure this happens on schedule. Our transformation marks the beginning of a new era in public transport here; one that supports Northern Ireland’s long-term prosperity.